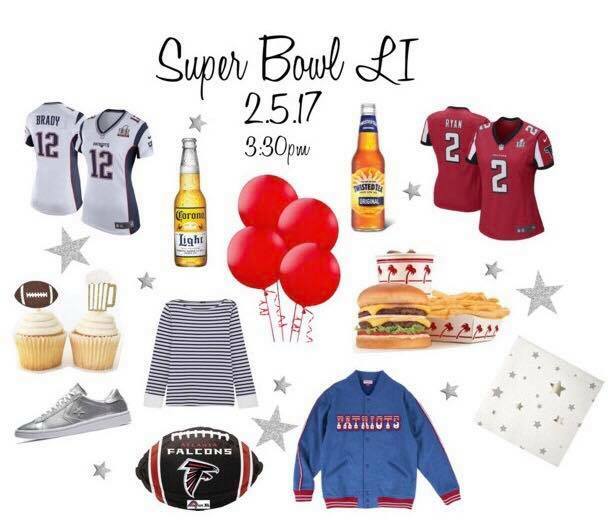 Planning any kind of party can be stressful, whether you’ve been planning to throw a Super Bowl party since the Playoffs, or you just decided to have your friends over last minute, the key is getting away with the minimum but making it look like you’ve put a lot of time and effort into it. 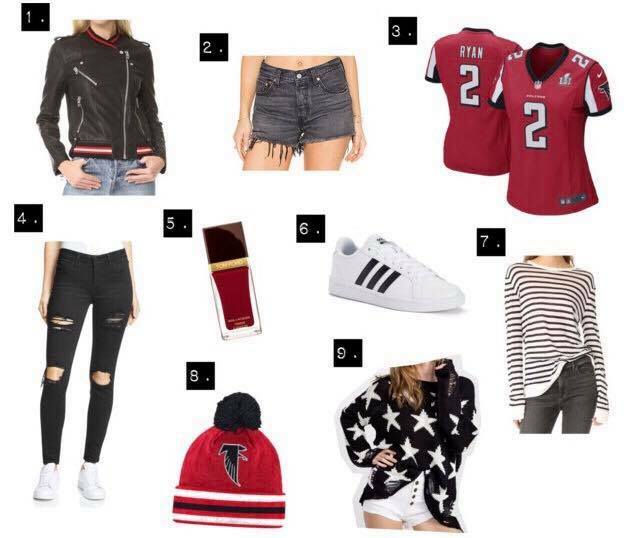 Here are some tips along with planning the perfect game day outfit you can rock this Sunday. Cheese Board: This is great because all it takes is a trip to the grocery store. There’s no cooking or baking involved. 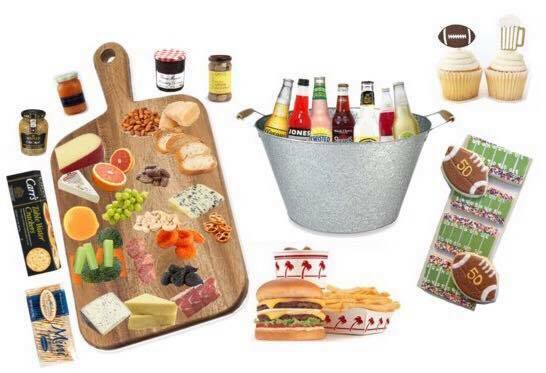 Cheese board – Bed Bath & Beyond. Hard, Medium and Soft Cheeses: Pecorino, Parmigiano-Reggiano, Gouda, Cheddar, Mozzarella, Jarlsberg, Brie and Blue Cheese. Drinks: Mix in a cooler colorful sodas, wine coolers, and beer. I like Jones Soda Co., Corona, Twisted Tea, Mike’s Hard Lemonade, Izze, and Stewarts. Note: If children will be attending, separate the alcohol from the non-alcohol. Run out of booze during the game? Download the Saucey App to have drinks delivered in under an hour. Ice bucket – Bed Bath & Beyond. Cheeseburgers: Who doesn’t love In-n-Out? Instead of cooking for your guests, pick up a bunch of cheeseburgers and animal style fries. Don’t have an In-n-Out in your area? Check food delivery services such as Postmates, GrubHub, Eat24, and Caviar beforehand so see what will be available on game day. Sweets: You can add these cupcake topper from Glitter Design Co. to cupcakes you can pick up at the bakery, or make your own, which according to Business Insider is the most popular snack during the Super Bowl in the State of California. Adding football cookies from Cousin Cookies will get you bonus points. 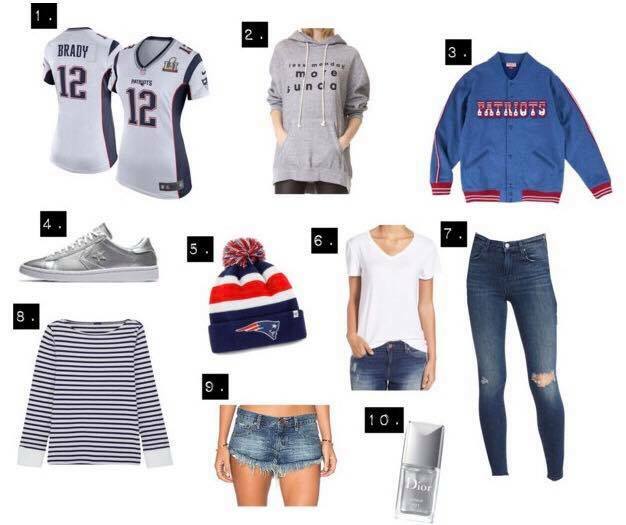 Unless all of your guests are fans of only one team, it’s best to represent both. 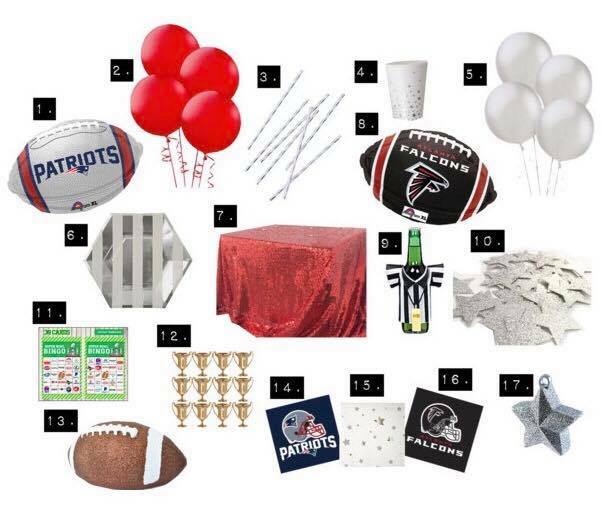 I chose the color scheme of red, white and silver because it symbolizes both, and I wanted to show that you can make a Super Bowl party “girly” by adding decor with glitter and silver foil.